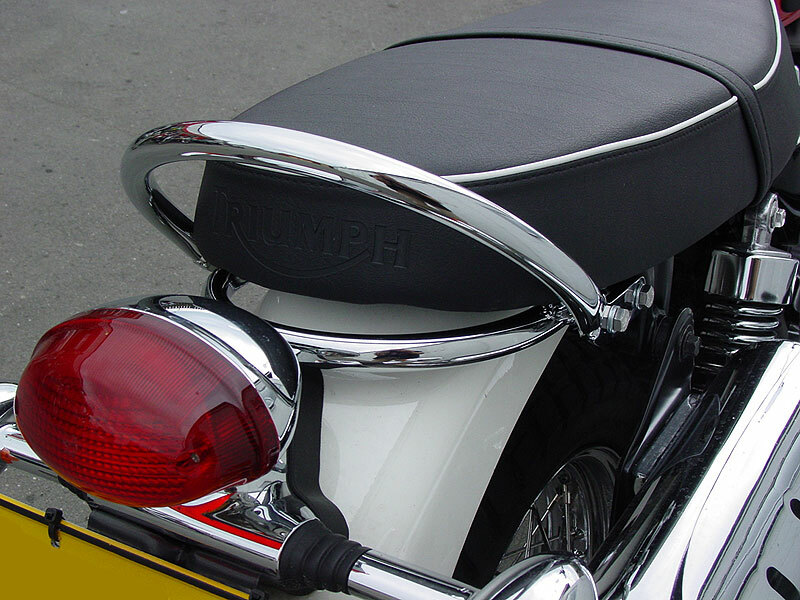 A high quality chrome plated steel grab rail for your Triumph Bonneville, T100, Scrambler or Thruxton. 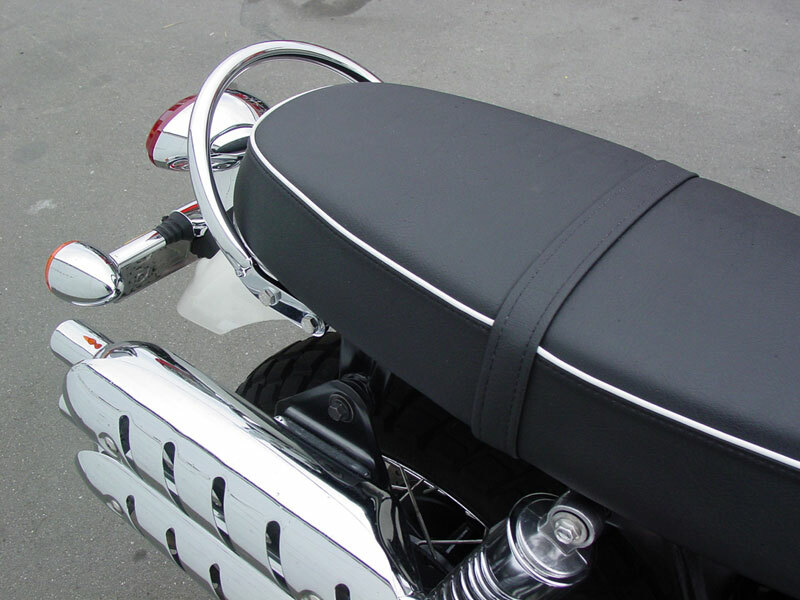 Give your passenger more security and finish off the rear of your bike nicely. A great feature of this grab rail is that it is able to be dismounted from it's base rail in minutes and is fully interchangeable with the Thunderbike Luggage Rack giving you the flexibility of easily changed functionality and looks. The grab rail kit comes complete with grab rail, base mounting rail, fitting hardware and instructions. Or go for the complete package with the luggage rack too. If you already have the Thunderbike Luggage Rack Kit the grab rail is available as a separate item too. Please note: We offer a 6 month warranty on all chromed products from the date of purchase, the same as genuine Triumph. While chrome should last longer than that in some environments/condition, there are others (eg, coastal situations, or areas where salts are applied to the road, or even storage in a moist environment, like a steel container or unlined steel garage) where chrome can fail very quickly indeed. Chrome has a very porous finish and should always be waxed to prolong its life. We are able to display prices in the currency of your choice. The calculation is based on the current exchange rate. Please note that exchange rates change slightly on a daily basis. Please Note: you also need to select the APPROPRIATE DELIVERY REGION above to get the correct prices based on the country/region where the product is to be shipped to.